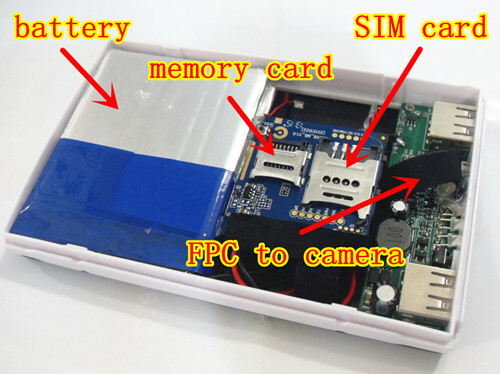 GSM power bank with camera and SIM card. This spy power bank contains everything you need for inconspicuous monitoring of spaces which you need to be under control. 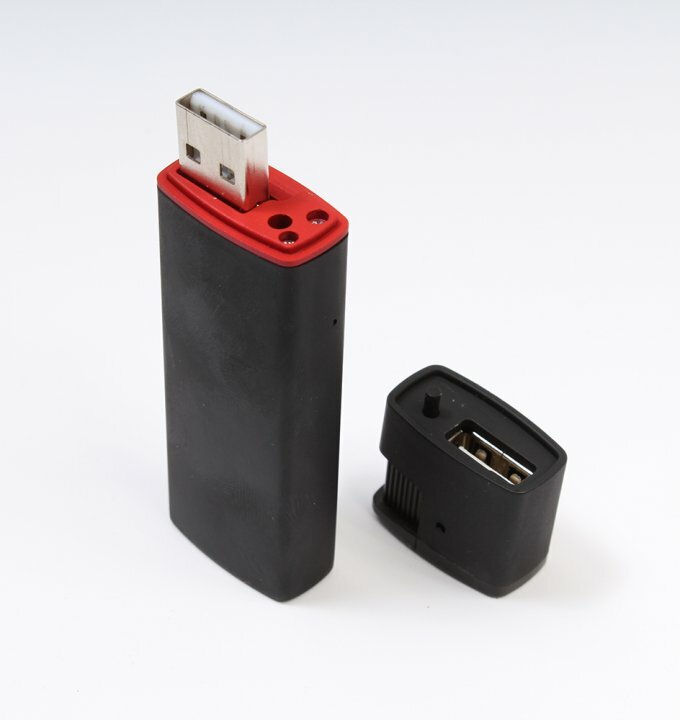 Portable Charger includes a camera, listening device, a microSD card to store the records and SIM card for communication and interception remotely. The device supports mobiles GSM 850/900/1800/1900MHz so you will not have any problem to connect from anywhere in the world. 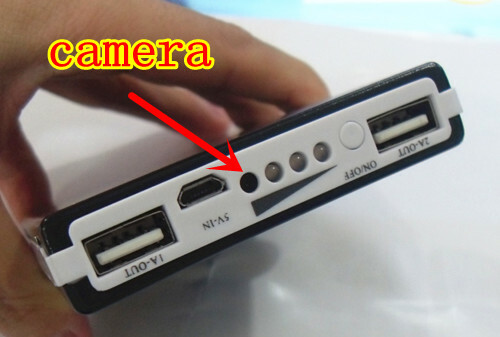 Camera hidden in a portable charger is ideal for use as surveillance or home security. 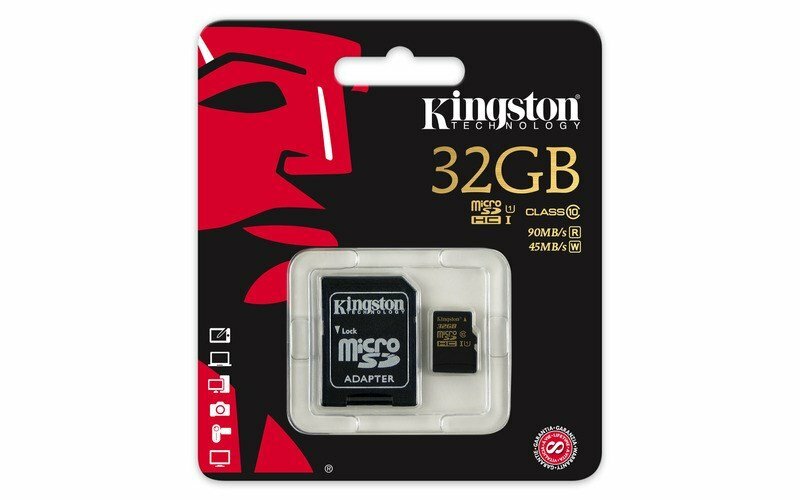 Just buy a new SIM card of any provider, and insert it into the device and microSD card to a maximum of 32 GB also insert into the slot next to the SIM card in the device, and you can start your spy action. 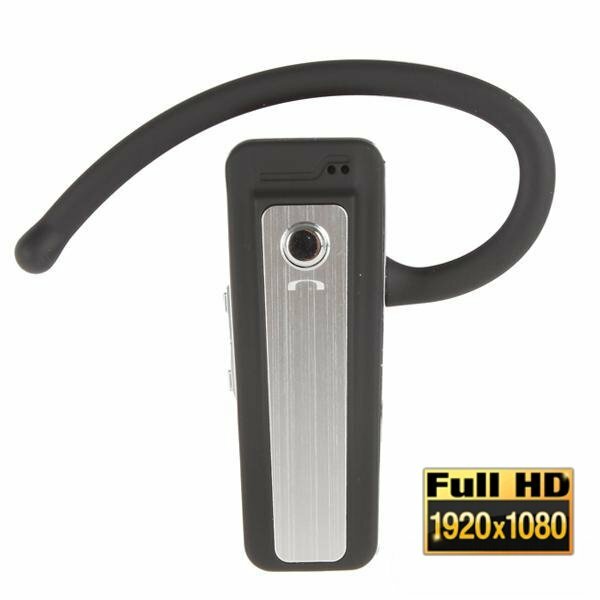 Hidden camera in an external charger has a built-in sensitive microphone and allows video recording with sound. All records are stored on the microSD card. Charger with camera you can control the camera via your phone via the commands in form of SMS to the phone number of the SIM card, which is in the device. 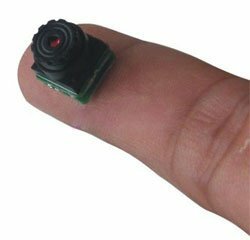 This allows you to remotely start recording video with sound, or just the sound separately. You can also set the audio detection function and the device will call you back as soon as is captured some sound above 65 decibels. Interception function can start also by calling to the phone number on the SIM card in the device, which automatically recieves your call and you will hear what is happening nearby. 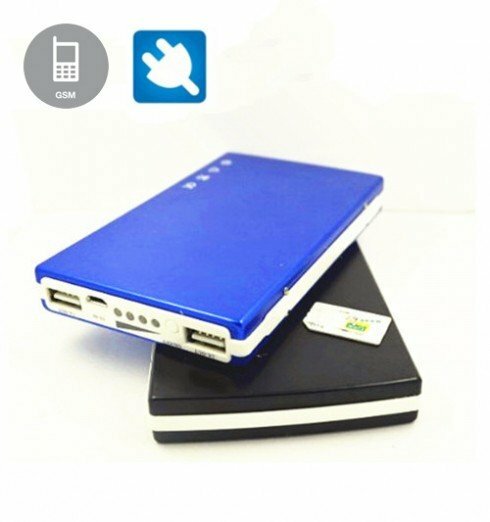 External battery is fully functional and with it you can charge your phone, tablet or any other device rechargeable via POWERBANK. The camera works even when the device is just charging, so you can use the continuous power supply thanks to which you are not limited to battery power supply.